When We Brunch bust onto the party brunch scene in 2017, few brunches were delivering the tri-factor of good food, great music and a brilliant party atmosphere. The party brunch, brought to the city by Love Parties (the masterminds behind the city’s sellout brunches Hidden at Treehouse and The Stage) quickly packed out week in, week out. Fast forward two years, and the competition have seriously upped their game, so what can We Brunch do to stand out in a sea of lively Friday feasts? When we visit they’re celebrating their second birthday and the venue’s been completely kitted out with balloons and confetti. So, if you weren’t already in the mood to party, you should be now. A milkshake wall serves as the perfect backdrop for well-dressed guests to snap selfies, while a ball pit bath and donut wall are welcome touches that have been designed to be photographed. 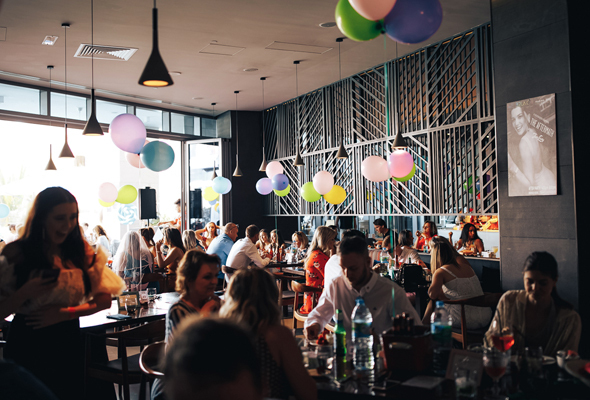 The room quickly packs out with partygoers and while an indoor seat gets you closer to the buffet, on a nice day we’d pick a Marina view alfresco table every time. Pop-up bars are great new additions that get guests on their feet, although table service is swift too, meaning drinks are rarely empty. The food has also undergone an upgrade too, and now features a sushi and seafood station, salad bar and bread station before you make it to mains. It’s not the biggest selection you’ll see, but it ticks all the boxes for having a handful of Asian and Italian dishes alongside the star of the show – the roast spread. A live BBQ station is also a brilliant addition, with dishes cooked-to-order and delivered to the table. We love the desserts – cute little pastries and mini desserts line up alongside an interactive ice cream bar and help yourself donut wall. 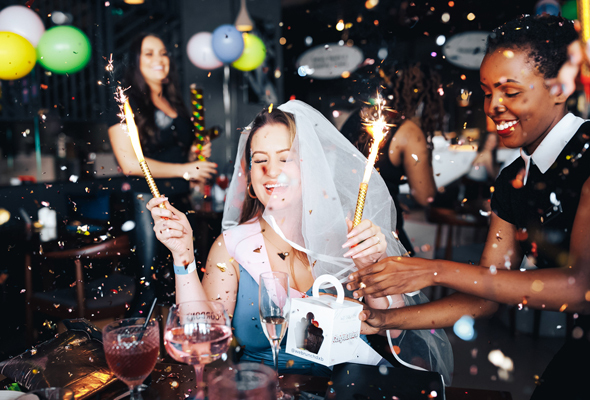 By the end of the brunch (which has been extended by an extra half hour recently), partygoers are on their feet, and birthday celebrations errupt around us as cupcakes and confetti are dished out to nearby tables. Don’t miss out on the after party, that happens upstairs at Marina Social’s bar space. As well as offering a complimentary drink to We Brunch guests, anyone heading to the after party can enjoy five drinks for Dhs150.